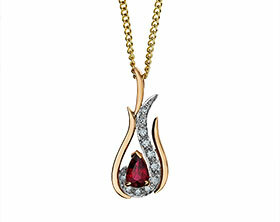 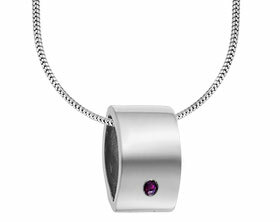 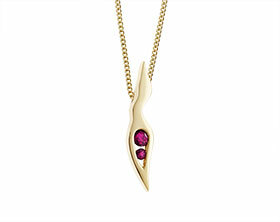 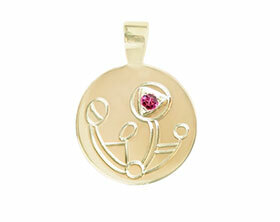 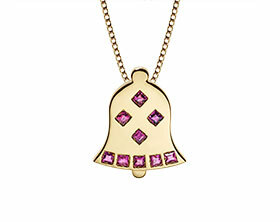 Handworked in Fairtrade sterling silver, this classic pendant is claw set with a 4mm brilliant cut ruby. 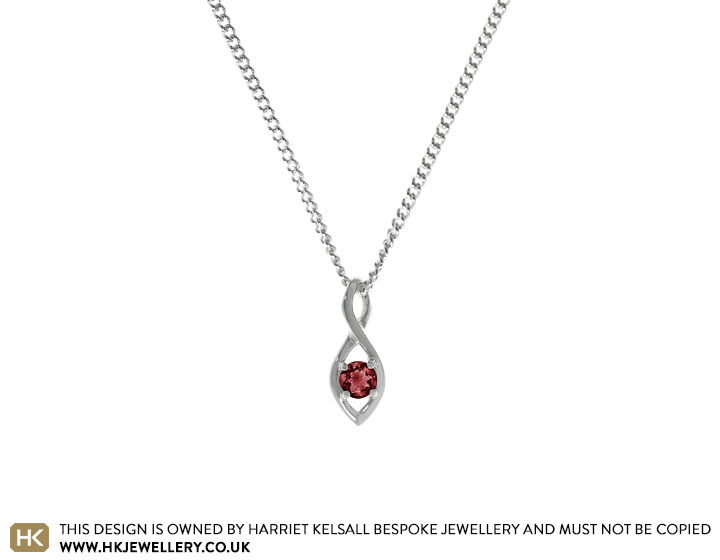 The ruby is surrounded by an elegant infinity twist, the smaller section of which forms the bail for the 16 inch recycled sterling silver curb chain. 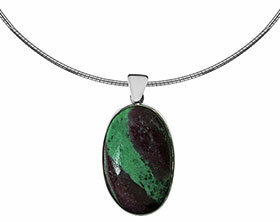 A polished finish completes this timeless design.